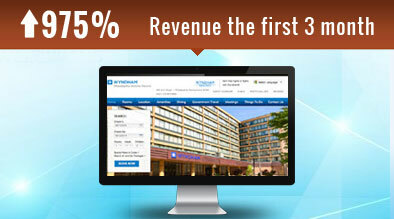 The Wyndham Philadelphia Historic District is a contemporary urban hotel located in the heart of downtown Philadelphia. Search trends continue to evolve and search engines continuously update their algorithm to adapt to these changes. The most recent updates include Google’s Hummingbird, Panda, and Penguin updates. 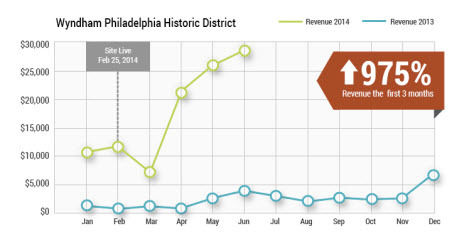 In order for the hotel to continue to perform well online, Wyndham Philadelphia Historic District worked closely with Milestone to revamp its hotel website design and updated its search engine optimization to ensure continued online performance success. The property worked with Milestone Internet Marketing to enhance the hotel’s web presence and performance by updating the website design to a contemporary look and responsive structure. The content was also refreshed to ensure optimization for the latest search and usability guidelines. New marketing initiatives were also launched to further promote the new website. And paid search promotion to expand marketing reach.